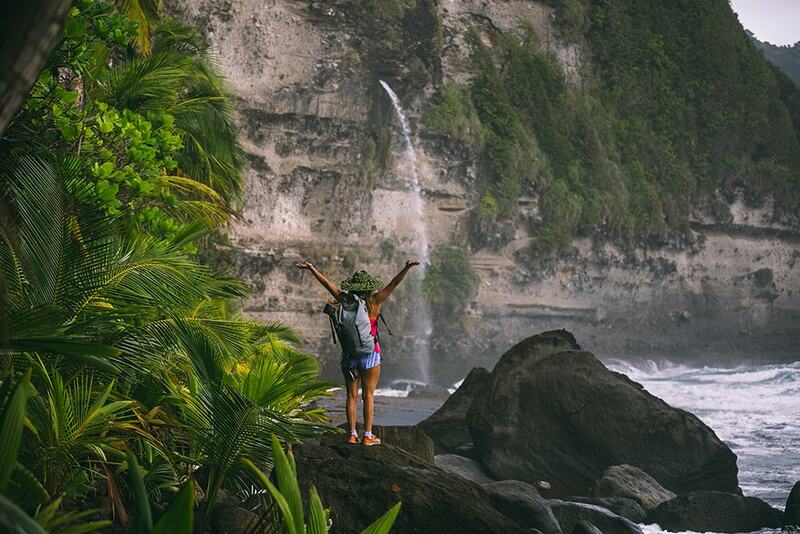 From reefs to rainforests, and whales to waterfalls, Dominica has it all. Often described as the Caribbean's “Nature Island,” this green jewel of the Windwards is a mecca for eco-adventurers and divers alike. Fort Young Hotel & Dive Resort is built into an 18th Century fortress that overlooks the Caribbean. The hotel's pool deck is a favorite place to relax and enjoy sunsets. 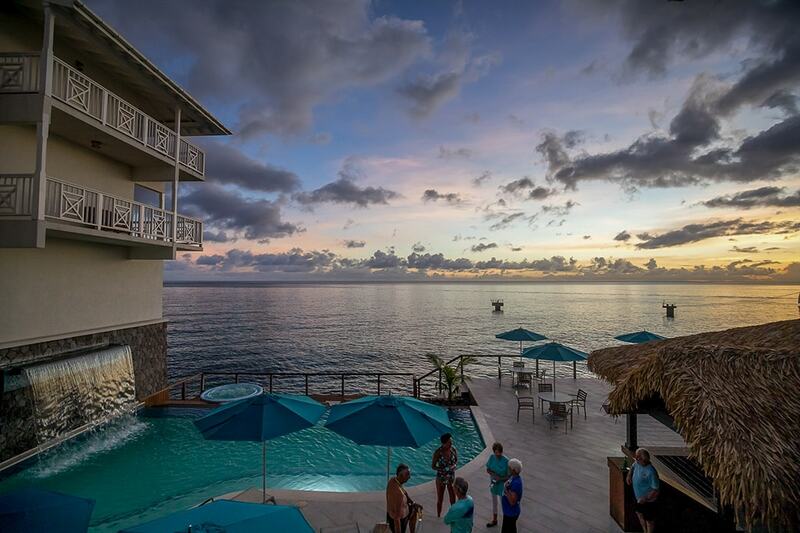 Whether you are seeking new adventures or ready for relaxation, the ideal headquarters for any type of Dominica vacation is the Fort Young Hotel & Dive Resort. This landmark resort property delivers a charming blend of history and modern comforts, and the location couldn't be better. The hotel was created on the grounds of an 18th-century fortress that was once the island's major military garrison. Today, guestrooms tucked into the fortress walls offer sweeping water views of the Caribbean, and easy walking access to the waterfront, markets and business of the capital city of Roseau. 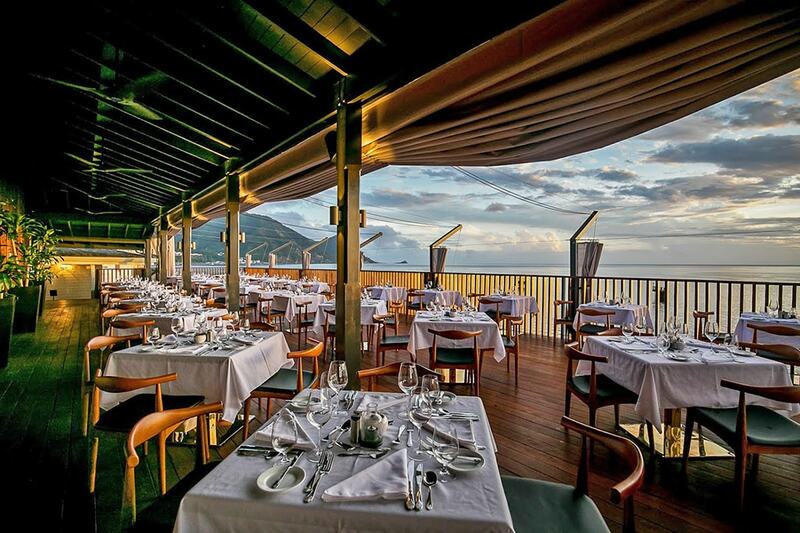 Fort Young's Palisades restaurant combines spectacular water views with upscale dining. With its spectacular water views and central location, the setting alone would make Fort Young a prime choice. Adding to the appeal are an enticing range of amenities and luxuries. Deluxe Oceanfront Rooms and Suites feature private balconies overlooking the harbor and offer a range of amenities that include whirlpool tubs, flat screen entertainment systems, property-wide high-speed Wi-Fi, kitchenettes and family-friendly features such as available adjoining rooms and the engaging Cannonball Kids Club. Menus feature a range of locally-sourced ingredients and innovative flavors. The in-house fitness center Zemi Spa provides a full range of relaxing and rejuvenating treatments. Guests can also participate in yoga and wellness sessions and make use of a fitness center. A favorite gathering point to refresh and take in the views is the infinity-edge pool, which is perched on an elevated waterfront deck. And after a day spent hiking, diving or touring the island, the adjacent hot tub is the perfect place to watch the sunset over the ocean. The hotel includes three bars serving a variety of island-inspired libations. 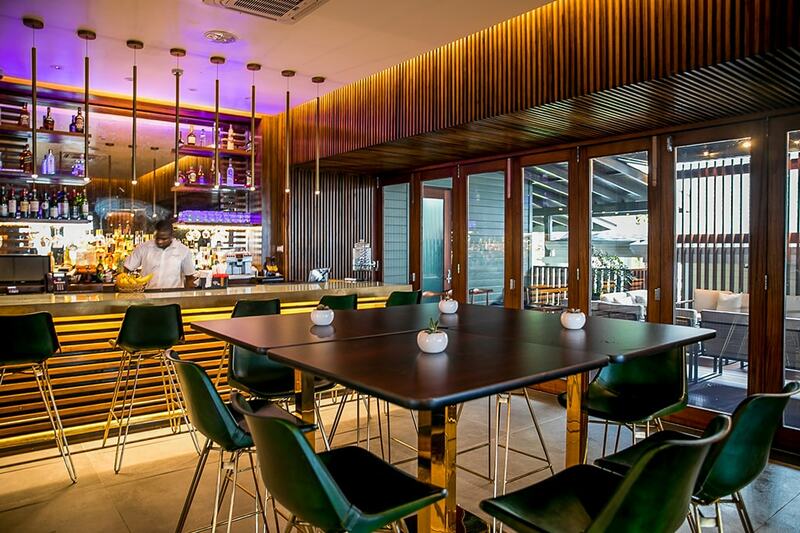 The hotel provides unique and memorable dining experiences ranging from sophisticated fare in a candlelit setting to casual meals with a lax seaside ambiance. 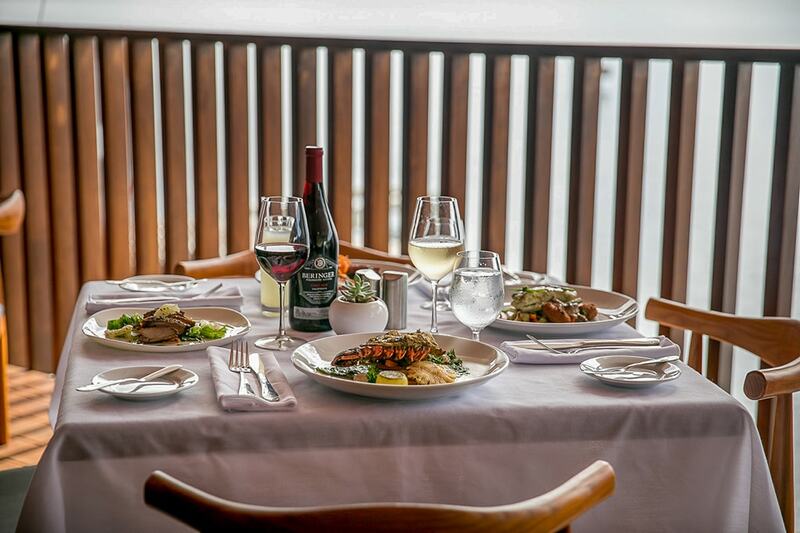 At the iconic Palisades restaurant, stunning water views are complemented by the culinary talents’ executive chef Nitish, who creates unique locally-sourced dishes. Special weekly events include Caribbean Night Buffets, Sunday Brunches and weekly tastings and cocktail parties at Warner's Bar. 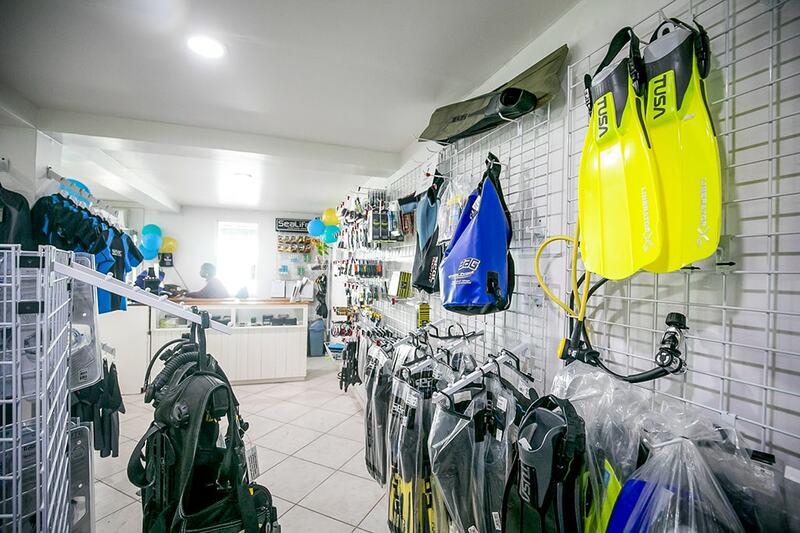 The full-service dive center offers retail, rental and gear storage. Dominica is considered one of the Caribbean's premier diving destinations. Just below the surface of this volcanic island lie dramatic drop-offs, sheer walls and submarine canyon riddled with pinnacles, swim-throughs and bubbling fumaroles. The nation's commitment to conservation ensures a wealth of marine life and healthy hard and soft corals that thrive within a trio of marine reserves. Small treasures from seahorses and frogfish abound. Dominica is also famous for whales. Up to 22 types of marine mammals, including two-thirds of the world's whale species, visit the island's surrounding waters, and it is one of a very few places in the world where sperm whales congregate close to shore. In addition to daily diving activities, Fort Young's aquatics center provides a range of water sports. Guests at Fort Young have prime access to all of Dominica's underwater attractions through the hotel's on-site aquatics center, Fort Young Dive. This facility, which is located on the water, includes a full retail and rental shop, ample gear storage areas and a dive concierge service. The shop's custom-built dive boat sits right at the dock, so there is never a long walk from room to boat, and gear and wetsuits need not live on room balconies. 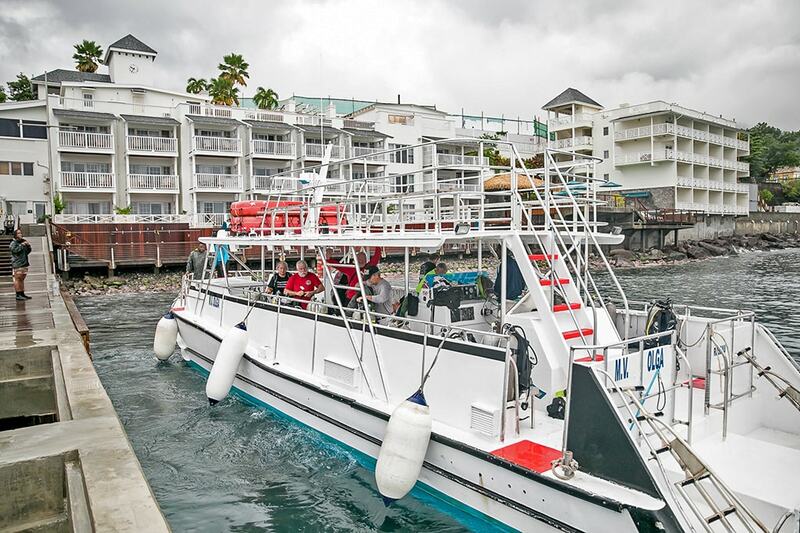 The dive center's custom-built power catamaran has a large, shaded deck and secure twin boarding stations. 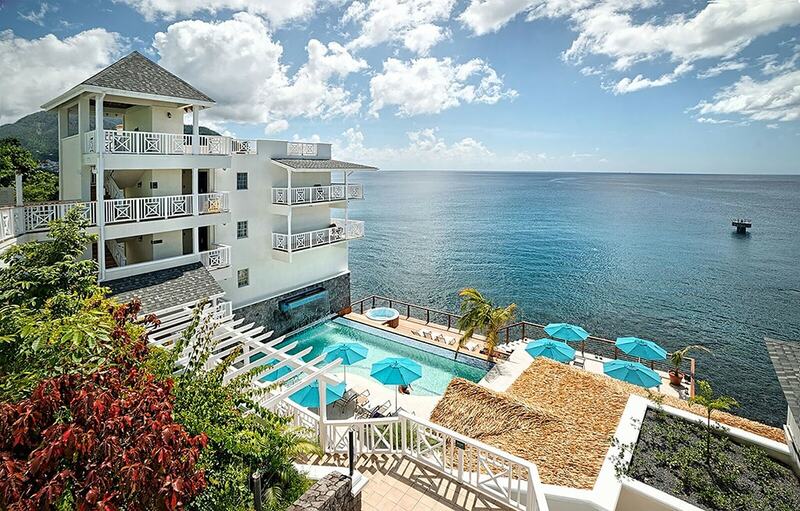 In addition to providing daily excursions to all of Dominica's best dive sites, the hotel's aquatics center can arrange family snorkeling adventures, deep sea fishing trips, and whale watching excursions. In the months between May and October, three of seven globally endangered sea turtle species can be seen swimming and nesting along Dominica’s shoreline. At this time, the shop also organizes sea turtle watching experiences. 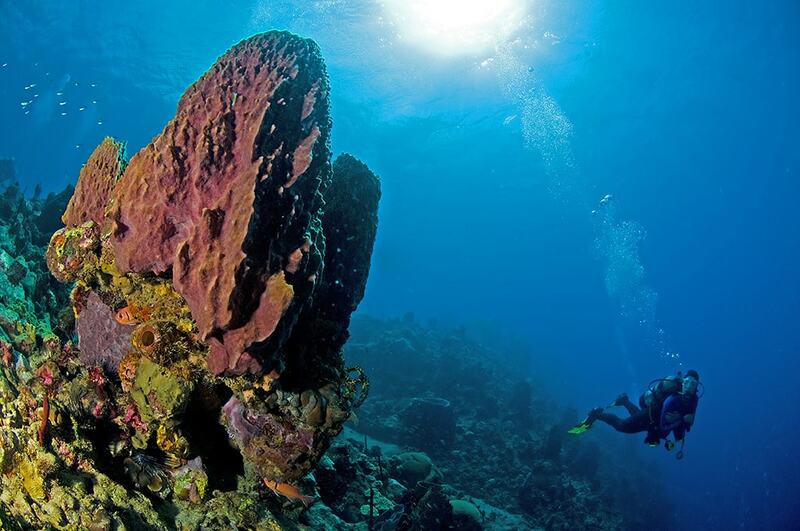 A diver hovers over a sponge-encrusted slope at Dangleben's Pinnacles. Equally as captivating as Dominica's underwater landscapes are the natural wonders that await in the forests and mountains of this green island. There are 365 rivers cascading from the slopes into deep canyons, rainforests rich in bird life, high-altitude lakes and a volcanic National Park. The activities desk at Fort Young can arrange for a wide variety of land tours and adventures that showcase this natural diversity. 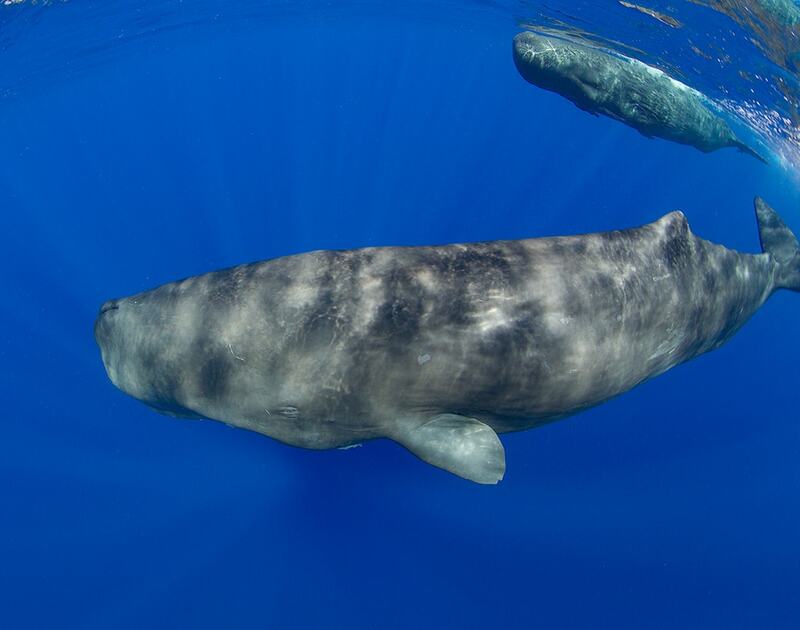 Dominica is one of the few places in the world where it is possible to swim with sperm whales. Explorations can begin right from the hotel, which is in the heart of Roseau's historic and cultural district. Whether you choose to stroll through the capital's Victorian buildings and craft market, explore the nearby Botanical Gardens, or trek the Waitukubuli Trail – the Caribbean’s longest hiking trail through the untrammeled rainforest – everything is within easy reach. In addition to guided history and nature tours, guests can sing up for trips to the hot spring at Trafalgar, trek through the rainforest to the dramatic Middleham Falls, or climb to the island's famous boiling lake. The lush rainforests and mountains of Dominica are crisscrossed with hiking trails. Dominica is home to more than 170 species of birds, which can be seen on guided nature hikes with the island’s leading birders. These excursions take you deep into the rainforest to observe and learn about the beautiful and seldom-seen birds which call the nature island home. 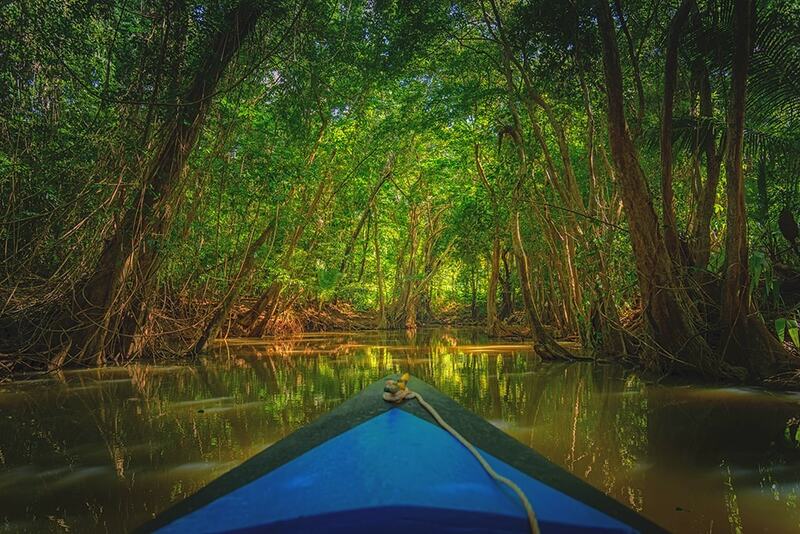 Several of Dominica's larger rivers can be explored by boat or kayak. 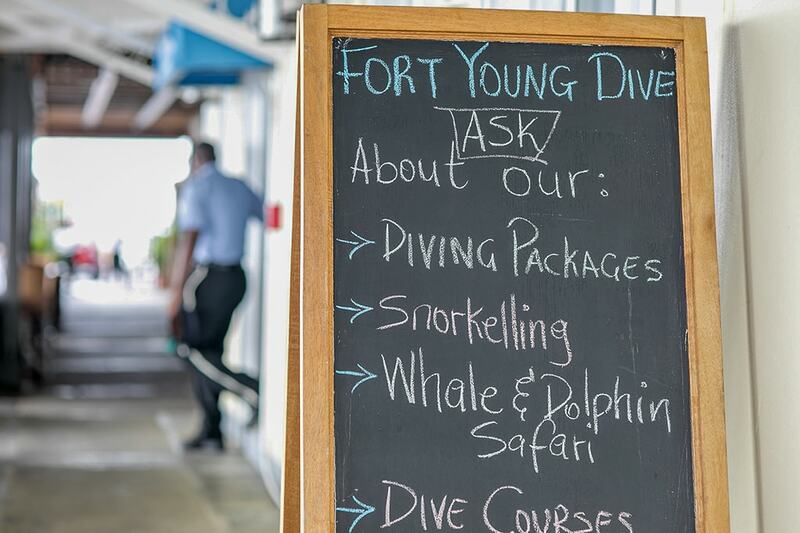 Caradonna Adventures has partnered with Fort Young Hotel & Dive Resort to create a series of special packages that can include diving, wellness and adventure. Whether it's diving the reefs, hiking the forests, relaxing at the spa, swimming with whales — or a little bit of everything, there is are itineraries to suit every taste and budget. Caradonna can arrange all the details, just give us a call us at 800-330-6611 or send a note to sales@caradonna.com. ROSEAU - ADVENTURE PACKAGE includes 5 nights Ocean Front accommodations, buffet breakfast daily, tour to Emerald Pool, Kalinago Village, Trafalgar Falls and Titou Gorge, roundtrip airport transfers, hotel taxes and service charges.Valid 6/1/19-11/30/19. 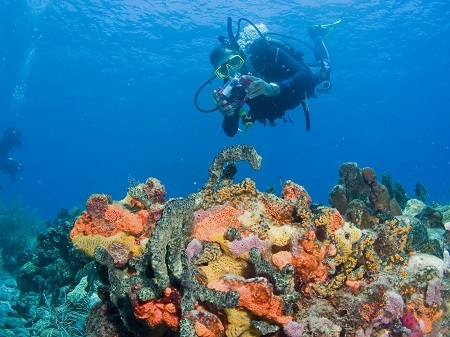 ROSEAU - DIVE PACKAGE includes 7 nights Ocean Front accommodations at Fort Young Hotel, 5 days of 2-tank boat dives with Dive Dominica, full breakfast daily, roundtrip airport transfers, hotel taxes, service charges and marine park fees. 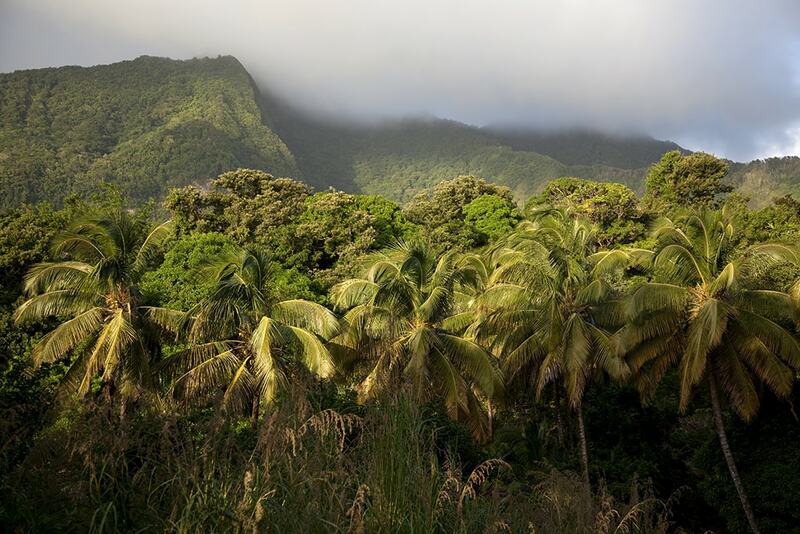 From waterfalls to mountain vistas, Dominica rewards hikers with memorable views.